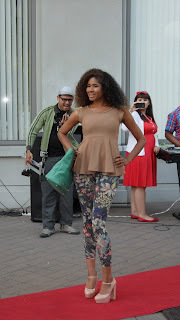 On Friday I attended Fashion Friday at the Plaza in Oakland for an evening of fun and shopping. 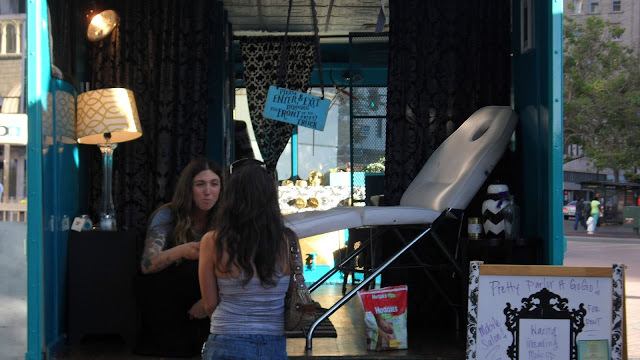 I was also very curious with the concept of mobile boutiques. 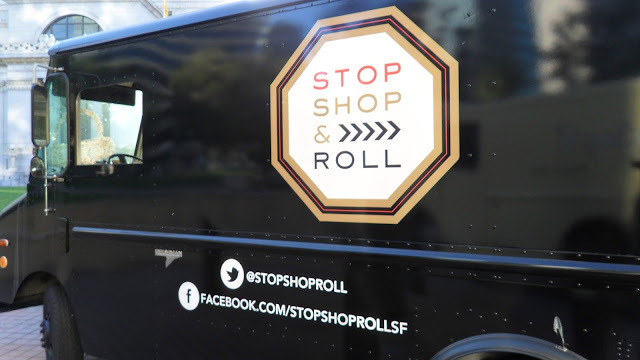 I've become accustomed to seeing food trucks in the Bay Area, but fashion trucks!? Where have these chic stores been hiding all my life!? This event was made possible by Popuphood. Popuphood is a small business incubator focused on revitalizing neighborhoods block by block. 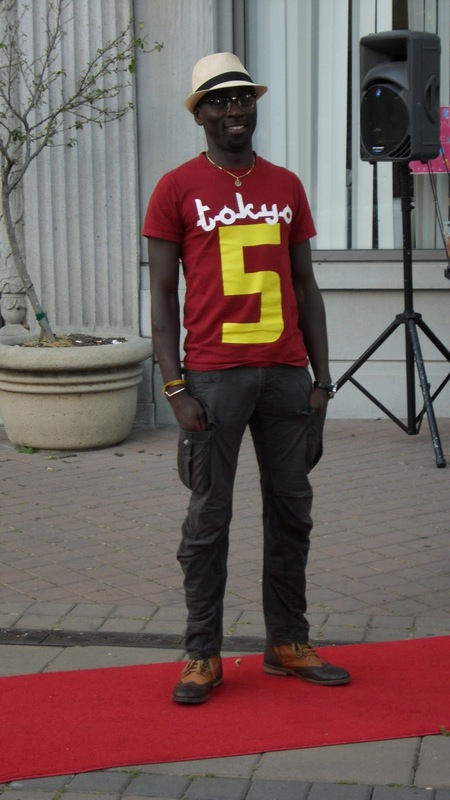 Oakland may be known for many things, but I wouldn't say Fashion comes to the forefront of that list. Personally, I always think of San Francisco, but after this event it is pretty evident Oakland has style. 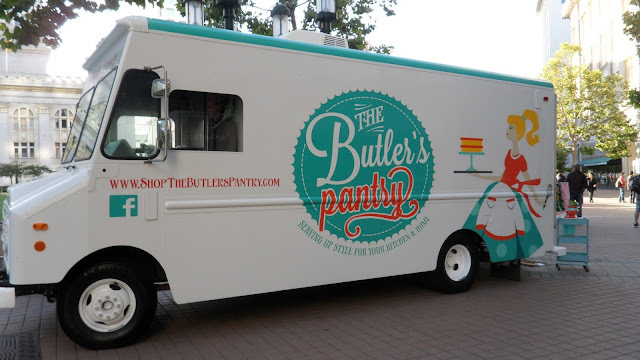 The trucks that were present at the event were: Go Go Glam, JasyB, Oaklandish, Stop Shop & Roll, Just Because, The Butler's Pantry, Topshelf, and Pretty Parlor A Go Go. 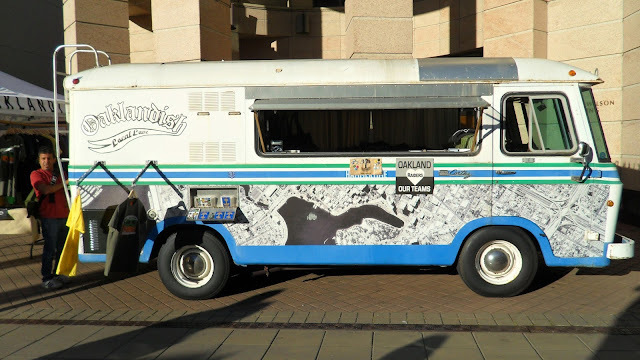 It amazed me that there were so many trucks related to fashion, and that there was even a mobile beauty salon. Perfect to invite to your home for a wedding or party. 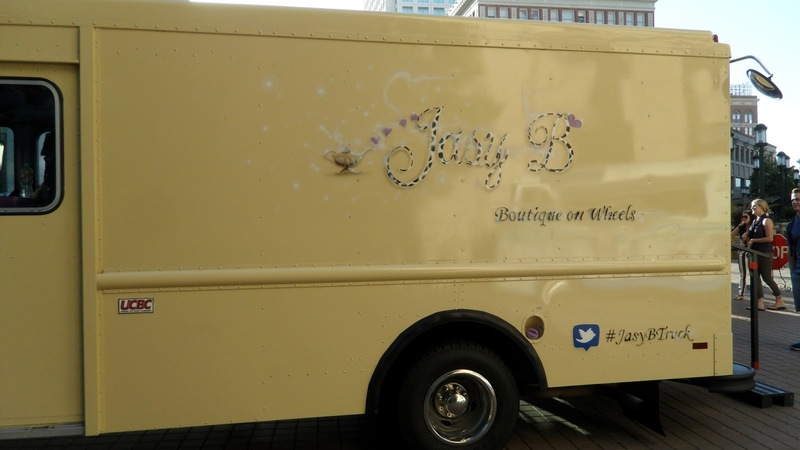 There was even a truck that sold for house-ware supplies (Perfect for me since I also like pretty thing in my kitchen!) 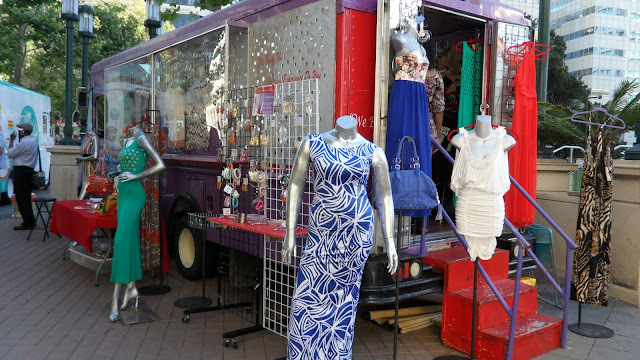 Having a chic mobile boutique seems like such a great concept. Sometimes you just need the store to come to you. 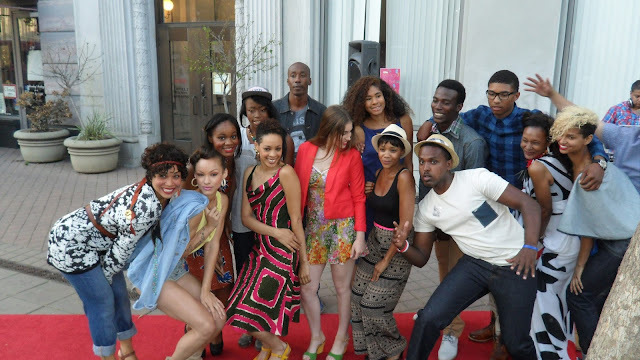 The models make their final pose. Everyone looked chic and our MC event was very entertaining. 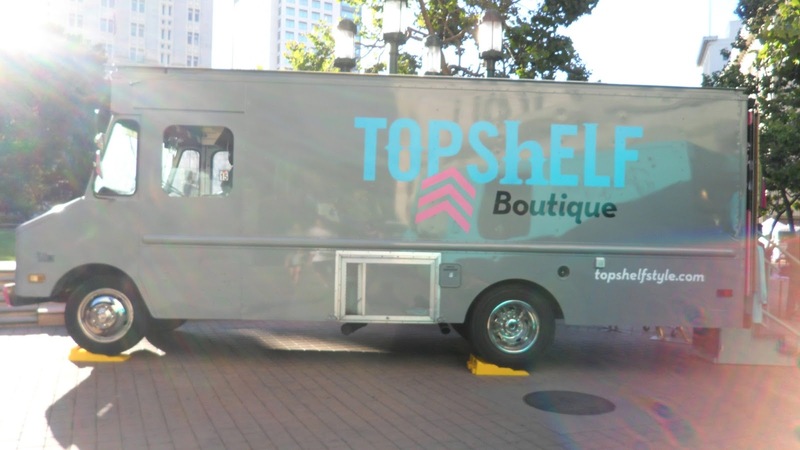 After visiting the mobile boutiques and seeing the show, I left with the impression that Oakland definitely has some style cred. 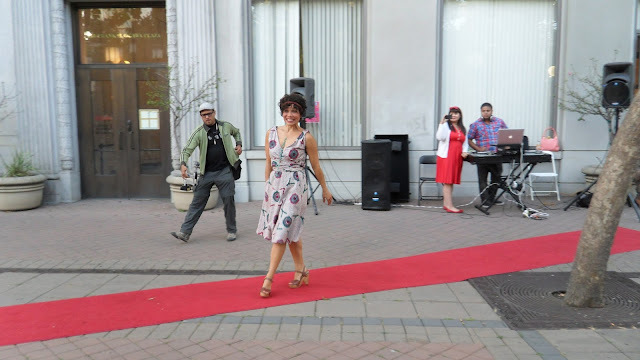 I am hoping to see more fashion-related events in the East Bay, until then make sure to "Like" me on Facebook or follow me on Twitter to stay updated with events in the Bay Area.